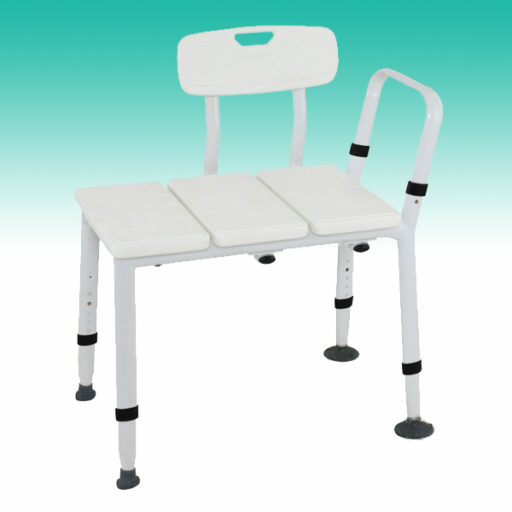 This Bath Transfer Bench features a strong oval tube frame, suction tipped feet and a moulded seat with drainage holes. The backrest is detachable and can be attached to either side of the bench. This bench has a safe working load of 200kg. Optional long extension legs are available to help balance the bench if more height is required.